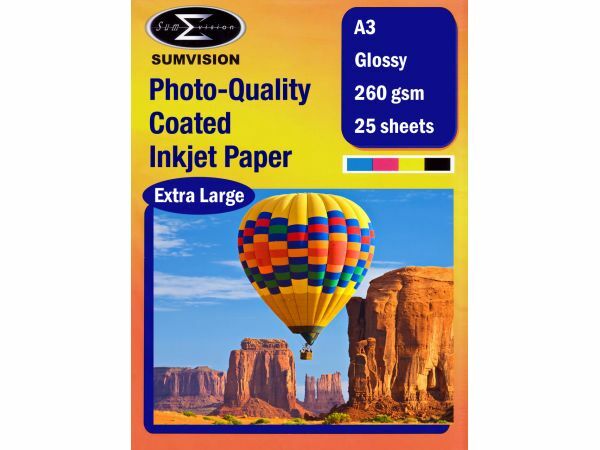 Extra large, A3-sized inkjet printable photo quality paper for use with printers that accept A3 and larger paper sizes. 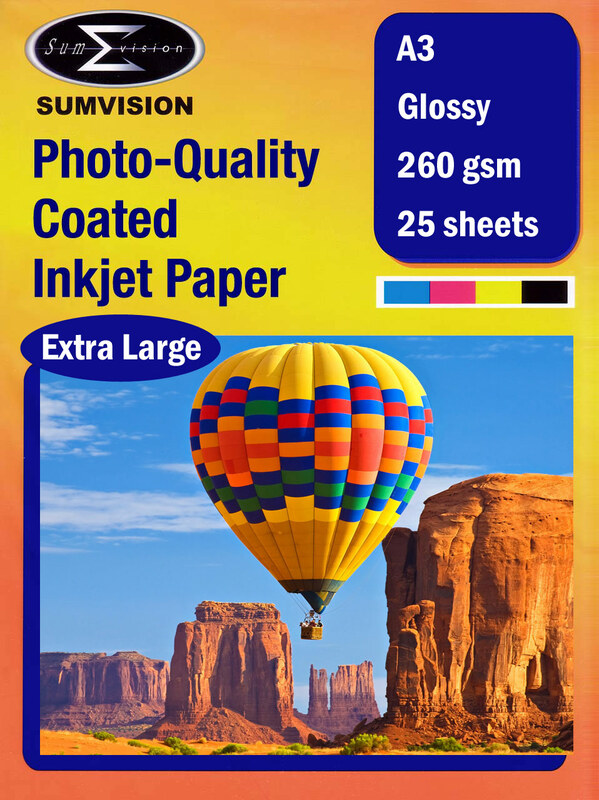 Heavyweight 260gsm with a professional glossy finish, ideal for all your larger photographs. As always, the quality of the results will reflect the quality of your printer- photo-quality images require a photo-quality inkjet printer. However, this printer will always bring out the best from your inkjet!